Safety depends on reliable communication – capturing critical video, sharing essential data and enabling urgent conversations. Wireless networks are particularly well suited to address your needs for flexibility and reliability and can be installed faster and for less money. Public safety and surveillance is everyday more a matter of mobility and pervasive networking. Deploying a flexible wired video-surveillance systems is a costly, time-consuming or sometimes even impossible. So why don’t consider a wireless network solution? Fluidmesh can easily help you save time and money, exceeding your expectation in terms of video quality and system reliability in challenging environments! 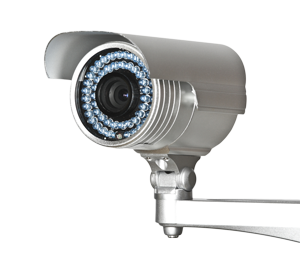 How do you feel about a freezing, blur, poor quality video surveillance taking care of your city or of company security? Thanks to Fluidmesh municipalities and enterprises can count on up to 150 Mbps per channel and low latency throughput for real time HD video and audio. Fluidmesh wireless products offer the highest resiliency to interferences by using a patented “smart control” on packet retransmission. It’s some pretty fancy stuff and it’s the reason why some of the world’s most demanding customers have chosen Fluidmesh. Our mobility solution, FLUIDITYTM, lets mobile cameras transmit LIVE feed from fast moving vehicles. No other wireless solution is able to deliver the same quality and amount of video at the same speed we do. Challenges us with a real high-speed wireless application and prepare to be blown away!